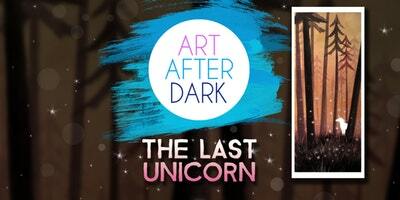 The Last Unicorn comes to Art After Dark at the Morinville Community Library! Join us for a FUN evening of painting, creativity, entertainment, laughs, great music and great drinks at The Morinville Community Library. Proceeds from registration and drink tickets will go to support programs at the library. Follow one of our Art After Dark artists as they guide you through a masterpiece painting created by YOU!